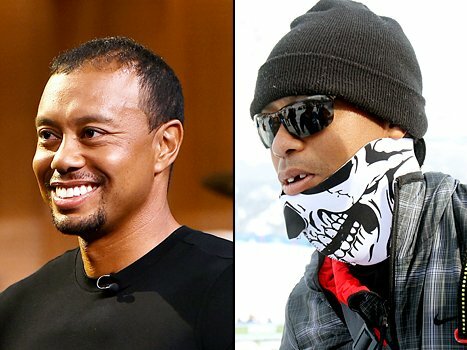 Tiger Woods has lost a front tooth after being hit in the face by a camera while watching girlfriend Lindsey Vonn secure her 63rd World Cup Alpine ski win. The former world number one golfer decided to surprise Lindsey Vonn, who was competing in Cortina d’Ampezzo, Italy. Tiger Woods had his tooth knocked out during a crush of photographers at the awards podium after Lindsey Vonn’s victory. As his agent Mark Steinberg explains it, a media member with a shoulder-mounted video surged toward the stage, turned and hit Tiger Woods in the mouth. “During a crush of photographers at the awards’ podium, a media member with a shoulder-mounted video camera pushed and surged towards the stage, turned and hit Tiger Woods in the mouth,” Mark Steinberg said. “I was among those who escorted him from the tent to the snowmobile and there was no such incident,” Nicola Colli, the secretary general of the race organizing committee, told The Associated Press. Mark Steinberg also said that the tooth is missing and would not say when Tiger Woods would replace it. Even more bizarre was witnessing Tiger Woods dress in a skeleton disguise as Lindsey Vonn became the all-time woman’s record holder in alpine skiing victories.